Two teenagers in New York City have exposed a number of sushi restaurants and seafood markets that were mislabeling fish and other underwater staples. Funnily enough, this story starts out at the dinner table. Kate Stoeckle asked her father one night while at a sushi restaurant, “Could you bar code sushi?” Kate’s father is a scientist and early adopter of the use of DNA bar coding to identify species. To his knowledge, no one had tried doing it before. So Kate teamed up with her friend Louisa Strauss to tackle the problem. The pair checked 60 samples from sushi restaurants and fish markets from around the area. What they found was 23% of the fish samples were mislabled. A piece of expensive tuna was actually Mozambique talapia (much cheaper fish). Flying fish roe (fish eggs), were actually from cheap smelt. Red snapper was actually found to be Atlantic cod or Acadian redfish (an endangered species). 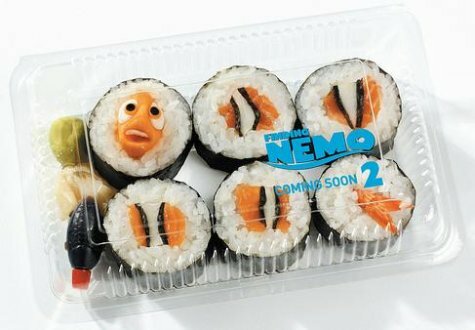 So next time you are about to sink your teeth into that spicy tuna roll, I hope its truly what you think it is.